Some unknown kids with superpowers have nudged out the world's most famous teen wizard at the weekend box office. The 20th Century Fox release "Chronicle," featuring a relatively unknown cast as youths who gain telekinetic abilities, debuted as the No. 1 movie with $22 million. 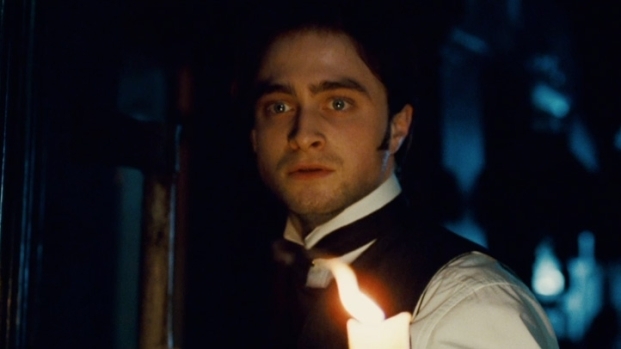 Sunday studio estimates put "Harry Potter" star Daniel Radcliffe's ghost story "The Woman in Black," released by CBS Films, just behind with a $21 million opening. The results were close enough that the No. 1 and 2 rankings could switch when final numbers are released Monday. Daniel Radcliffe stars as a lawyer sent to a remote village where he encounters an angry ghost scaring the bejesus out of the townsfolk. Opens Feb. 3. The two movies had healthy starts considering it was Super Bowl weekend, when few people go to theaters on Sunday because of the big game. Each movie landed in the all-time top-10 list for Super Bowl weekend debuts, which is headed by the $31.1 million opening for 2008's "Hannah Montana & Miley Cyrus: Best of Both Worlds Concert," according to box-office tracker Hollywood.com. "To have two movies over $20 million on a Super Bowl weekend is really strong," said Hollywood.com analyst Paul Dergarabedian. "If the Super Bowl is as close as these two movies, that'll be a really good Super Bowl." Both movies packed in solid teen and early-20s crowds, Hollywood's bread-and-butter audience that had been giving movies a pass during a box-office slide late last year. "Chronicle" was "designed and made for a younger demographic. That demographic has been the one that's been missing from theaters," said Chris Aronson, head of distribution for 20th Century Fox. "There's something very unique and very innovative about this movie that they got wind of. There was a lot of pre-release chatter on social media that made a connection with this audience." 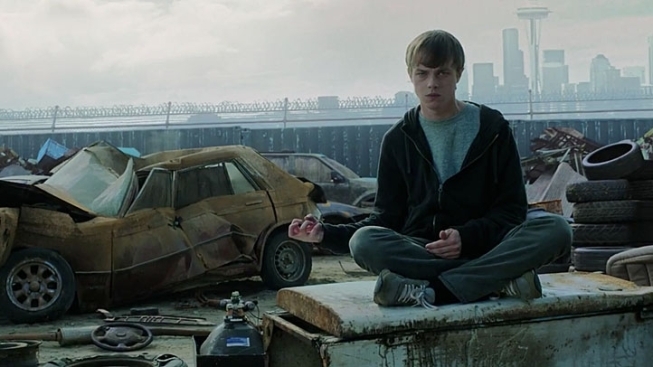 From first-time director Josh Trank, "Chronicle" relies on documentary-style, hand-held filming techniques to tell the story of three teens (Dane DeHaan, Michael B. Jordan and Alex Russell) who put their newfound superpowers to work in mischievous and eventually dark ways. In "The Woman in Black," his first starring role since last summer's "Harry Potter" finale, Radcliffe plays a widowed lawyer beset by ghostly apparitions at the remote home of a recently deceased client. While the audience for "Chronicle" was 55 percent male, the crowds for "Woman in Black" were 59 percent female, drawn by heartthrob Radcliffe and the lure of an old-fashioned Gothic ghost story. Both films far exceeded industry expectations for the weekend. "In retrospect, you look at Daniel Radcliffe, one of the biggest stars and one of the hardest-working kids in show business, you have a very well-made PG-13 scary movie," said Steven Friedlander, head of distribution for CBS Films. "The only surprise, really, is why are we surprised? Those are all the elements for making a hit." The previous weekend's top movie, Liam Neeson's Alaska survival tale "The Grey," slipped to No. 3 with $9.5 million, raising its domestic total to $34.6 million. At No. 4 with an $8.5 million debut was another Alaska adventure, Universal Pictures' family film "Big Miracle," with Drew Barrymore and John Krasinski aiming to save three whales trapped by Arctic ice. Pop star Madonna's drama "W.E." had a modest opening in limited release, pulling in $45,000 in four theaters. Directed and co-written by Madonna, "W.E." blends the real-life romance of Wallis Simpson (Andrea Riseborough) and Britain's King Edward VIII (James D'Arcy) with a fictional modern story of a Manhattan woman (Abbie Cornish) in an unhappy marriage. Hollywood finished the first month of 2012 with strong revenues that are running well ahead of last year's lackluster receipts. According to Hollywood.com, domestic revenues through Sunday totaled $967.5 million, up 14 percent from the same point last year. 2. "The Woman in Black," $21 million. 3. "The Grey," $9.5 million. 4. "Big Miracle," $8.5 million. 5. "Underworld Awakening," $5.6 million. 6. "One for the Money," $5.3 million. 7. "Red Tails," $5 million. 8. "The Descendants," $4.6 million. 9. "Man on a Ledge," $4.5 million. 10. "Extremely Loud & Incredibly Close," $3.9 million.